This larva is still young. It measures a 4.5 millimeters. 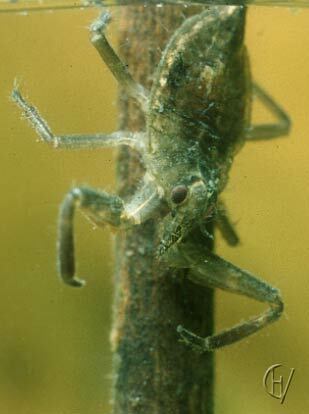 These larva like to crawl away in the dirt in shallow water, so their grey color makes them almost invisible.